Fall is a beloved time of year for many reasons: Crisp sweater weather rolls in, fun holidays are right around the corner, and delicious seasonal foods and flavors start popping up everywhere! Two talented chefs in the Orange County area have shared their favorite aspects of fall cooking and how their respective restaurants adapt to seasonal changes and incorporate local ingredients. Warning: By the time you finish reading this, you will be very hungry! 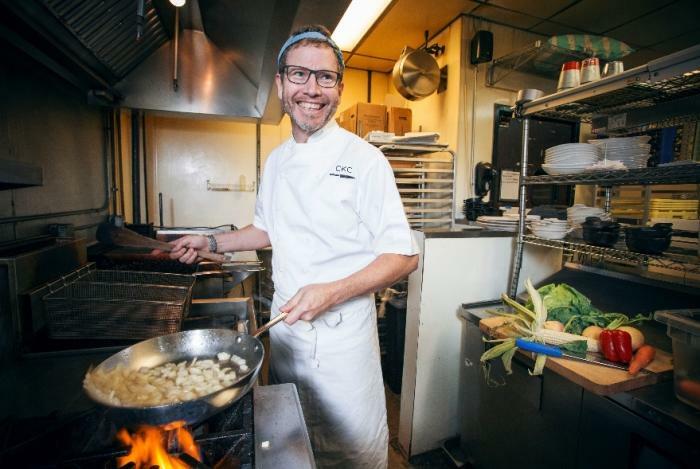 Bill Smith has been the chef at Crook’s Corner for 25 years and has plenty of insight on the art of seasonal food preparation. He and his team highlight persimmons as a central fall ingredient in persimmon pudding around this time of year. This seasonal dish is a favorite among diners, as its unique makeup differentiates it from puddings made elsewhere. Bill also noted the use of pumpkins and chestnuts as autumn comes around. Bill emphasized that Crook’s Corner constantly changes its menu, so he and his team are used to the challenges that accompany seasonal dishes. He loves finding creative ways to adapt to new produce and keep the restaurant’s menu fresh and exciting. He also cherishes the relationships he has with local farmers and vendors, as it makes his job of hunting for seasonal ingredients not only easier, but also more personal and fun. Be sure to stop by Crook’s Corner to sample Bill’s delectable fall dishes! 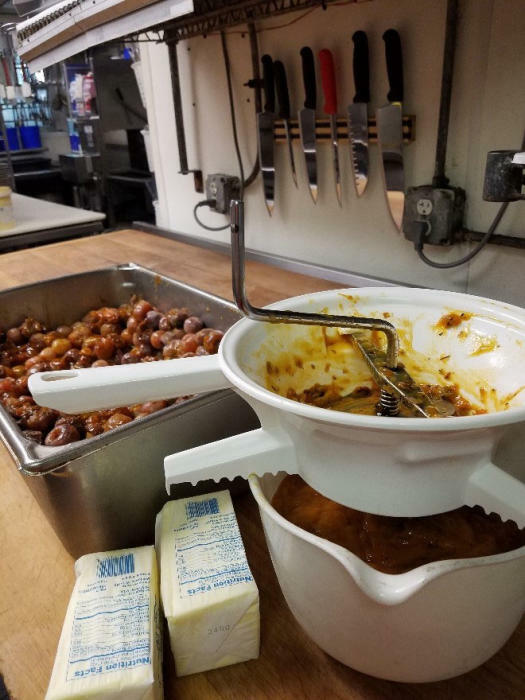 Kevin Callaghan, chef and owner of Acme Food & Beverage Company in Carrboro, is also eager to take on the fall season and revamp his recipes. He compared making a seasonal menu to “welcoming back an old friend from a long trip. There’s a lot of history and lots to talk about.” Some fall ingredients that stand out to Kevin include butternut squash, figs, muscadines, collards, mushrooms, Kieffer pears, pumpkin, corn, shellfish, duck, quail and smoked meats. Kevin also shared some of the challenges that he and his team must overcome while creating Acme’s fall menu. They began planning as early as August, when they started preserving fruits to have chutneys and jams ready for fall. They take extra care to keep the menu as dynamic and exciting as possible. Kevin and his team aim to not use the same ingredient in too many fall dishes, so they can incorporate as wide of a variety as possible. Stop by Acme at some point this fall to enjoy the recipes Kevin and his team craft!